You reach for your keys to open the door, but they’re not there. There you are, standing outside of your front door without a key. This is a situation that happens every day to someone, but when it happens to you, it seems as if your world just stood still in a panic. Before you get too upset, have a plan. Know what to do when you find yourself in a house lockout situation. 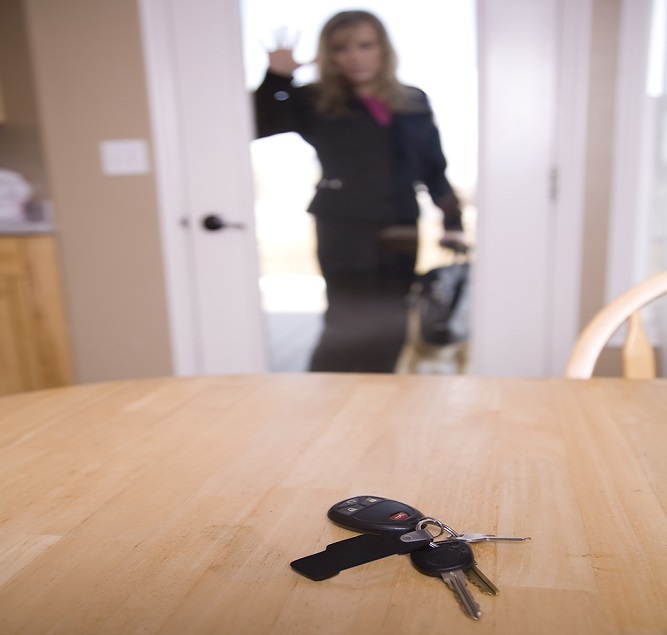 Read this article for information, tips, and solutions for home lockout situation. First Stay Calm! The most important thing to remember is to stay calm and to consider your options. Yes, you do have options. You will not be standing outside your locked door forever. You will eventually get inside. The trick is deciding which option works best for you and in the most time-effective manner to get you back on track with your scheduled day without missing any planned appointments. Spare Key – Hopefully, you have a spare house key that you have safely hidden out of sight or given to a trusted neighbor or friend who is available. If not, here are the steps to take to get inside. Look for a Point of Entry –Of course, you can try to look for an unlocked window, use a credit card to jimmy open the lock or disassemble your entire door frame, but all of these solutions take time and end in possible damage that will need to be repaired. Don’t be afraid to ask for help. Ask for help – Call upon the help of another family member who lives with you and has a spare key, or if you rent, contact your landlord. Keep in mind that if you need to ask your landlord for help, you will most likely need to show proof that you live there. Home Lockout Service – House, Condo, Apartment, ETC. You can go down the exhausting list of possible remedies to get you inside, or you can alleviate the stress of the situation from the start and call a locksmith as soon as you realize you are locked out. The best thing to do is to research local locksmiths before you find yourself in an emergency situation, so you have one ready to call should a house lockout occur, though there are locksmiths ready to serve at a moment’s notice to help get you inside safely and to get your day back on track in a timely manner. After you have safely gained access to your home once again, take steps to make sure it doesn’t happen again. Give a spare key to one or two close friends or trusted neighbors who are willing to help at a moment’s notice. If there is no one nearby whom you trust, consider hiding the key out of site and in a place where no one would suspect. We are not talking about a fake rock with a hollowed out bottom or under a door mat, but rather a more tricky, harder to discover, location. Another option is to have a locksmith install a key-less digital locking system which does away with the need for a key, so you will never find yourself locked out of your house because you failed to remember to bring along your key. Call a locksmith you know you can trust to get you back inside when you find yourself in a house lockout situation!